Vector footage of nature and environment symbols. 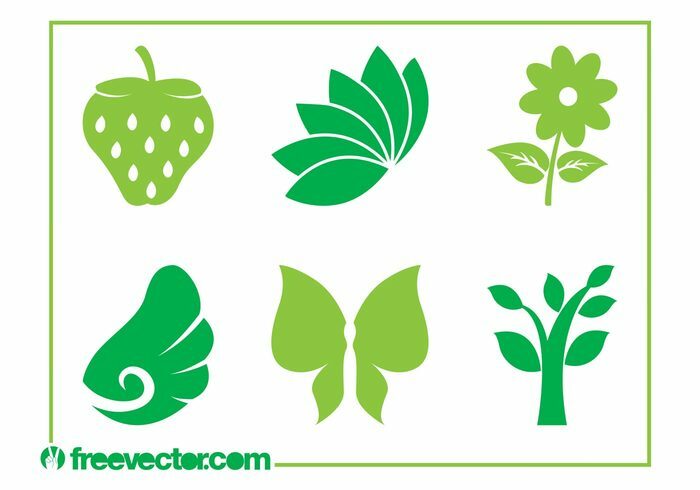 Silhouettes of a strawberry, plant leaves, blooming flower, bird wing, butterfly and a tree. Free vector graphics for nature, plants, animals, flora, fauna, fruits, environment, ecology and flowers visuals. Graphics for icons and logos.